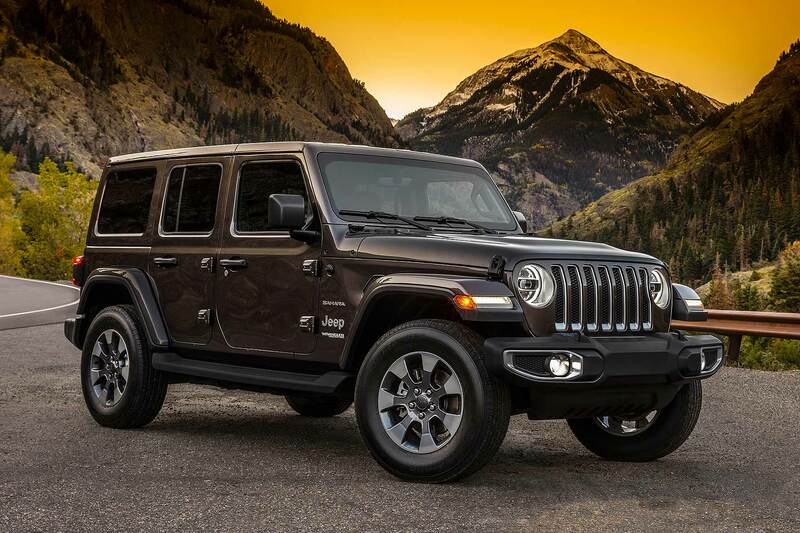 The all-new Jeep Wrangler is priced from £44,495 and launches in dealers this weekend (13-14 October), the firm has announced. 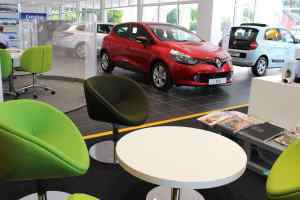 The surprisingly steep prices represent a big hike over the already-heady starting price of the outgoing model: in two-door Sahara guise, that was priced from just under £38,000. But Jeep argues the new Wrangler is such a step on, it justifies a new starting price of well over £44k for the two-door Sahara diesel auto. Although we do think describing it as “outstanding value for money” is something of a stretch. Jeep has introduced a new 2.2-litre MultiJet II turbodiesel engine for the new Wrangler, replacing the aged old 2.8-litre CRD. Producing 200hp, it will only be sold as an eight-speed auto. 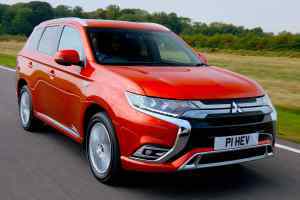 Later in the year, it will be complemented by a 272hp 2.0-litre turbo petrol. Because it’s a rugged mud-plugger capable of breezing across the Rubicon Trail, Jeep offers the Wrangler with two types of all-wheel drive system. Command-Trac is fitted to Sahara and Overland; Rock-Trac is standard on Rubicon. Confusingly, both systems use the same two-speed transfer case… called Selec-Trac. (Don’t forget the Tru-Lock electric front and rear locking axles, nor the Trac-Lok limited-slip differential either, adds Jeep). 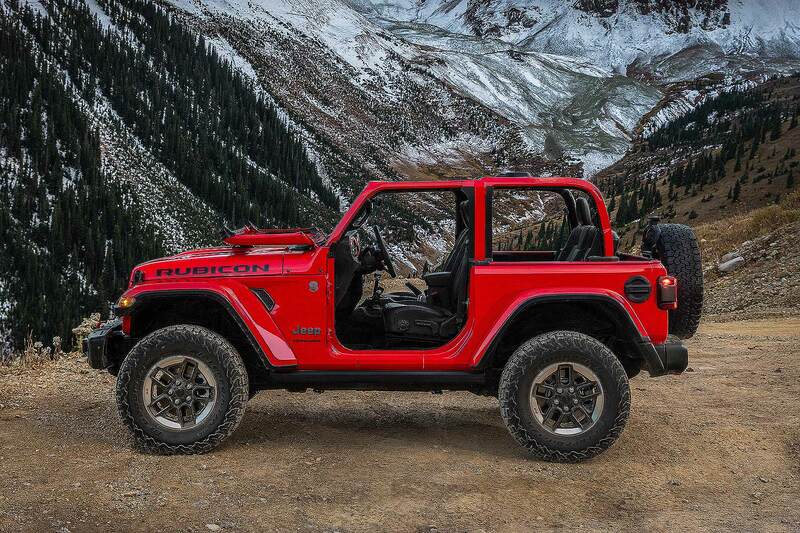 An all-new version of the classic original, the new Jeep Wrangler’s modern-retro styling should please. The doors can still be removed, the windscreen still folds. 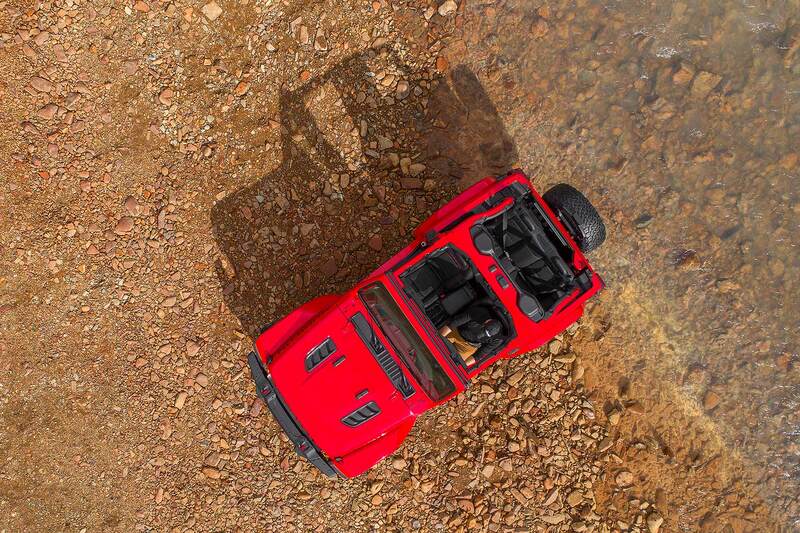 It’s the only full open-top 4×4 SUV on the market, says Jeep, and customers will have a choice of 10 different colours. LED headlights add a modern touch outside; the all-new interior has a 7-inch TFT instrument display and 8.4-inch Uconnect infotainment screen with Apple CarPlay and Android Auto. The new Wrangler is even offered with safety tech such as blind spot monitoring, reversing camera and rear cross path detection – although it still only has four airbags as standard.